I recently made a “first look” article depicting early trailers and screenshots of the upcoming game Watch Dogs, available on all systems May 27th. I also commented somewhat cynically as to how it seems to already fail to depict hacking in an accurate light. 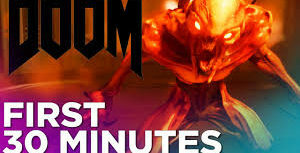 I understand that hacking is one of those things that is a lot less interesting then it sounds when put into actual practice, and video games cater to an audience with very little attention span. Still, when you work for a big a studio as Ubisoft, and you have people who probably could be the star of Watch Dogs in real life working across the hall from you, it seems silly from a design perspective to not just pop your head in your code monkey’s office and ask a few questions while he’s compiling. Hell, being a renegade hacker who can take down the system is a boyhood fantasy of many a script jockey, and they would love to give you their two cents on how CTOS would work in the real world and how they would use it to take down the forces of evil. What scares me even more then that though is the fact that resources well outside the programmer’s circle have been published and informing the masses well since the 1990s, and that Watch Dogs seems to pay very little if any tribute to the things that made hacking a well known term; besides the development of the first computer game SPACE WAR, of course. This is going to be a long and thoughtful article, and it going to mostly revolve around the ideas and facts made by two source materials that didn’t seem to make it into Ubisoft’s pre-production for Watch Dogs. Those include two famous figureheads, one of which published a novel only three years ago, and another which continues its influence to this very day. It’s shameful how little research pre-dev can get away with. The first figurehead was the man who made computer hacking famous. Not just by writing a novel about it, but by actually becoming a wanted and long running fugitive of the law due to his criminal acts of breaking and entering, stealing private information, and hijacking control over sensitive systems. 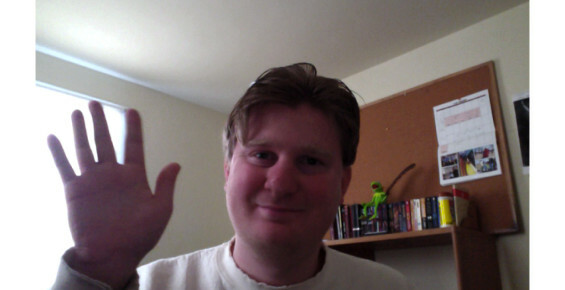 He wrote about his adventures in the book Ghost in the Wires, published in 2011. Check it out sometime if your interested. Another interesting thing to not about him is not only his strong influence on hacking culture and the security measures therin, but also on his character in general. While the novel itself is basically an autobiography, it plays much like a thriller novel, complete with a cat-and-mouse chase with the law and a morally ambiguous protagonist. 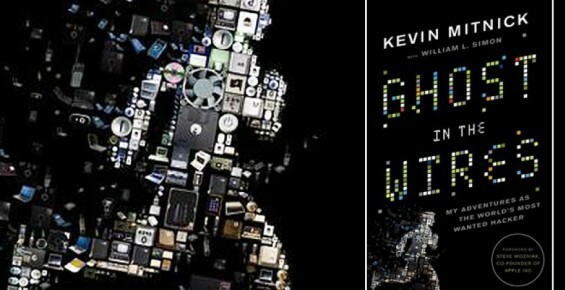 Unlike Aiden Pearce, star of Watch Dogs, Kevin doesn’t hack in order to steal from anyone; he doesn’t steal. Kevin also doesn’t hack to bring down the system; he’s pretty defiant of authorities, but would rather live a life of peace. Instead, he hacks computers, cracks security systems, and taps into communication lines for one purpose and one purpose only; for kicks. Like a troll online insulting you on the message boards, or a couple of punk kids breaking into an abandoned warehouse to see what’s inside, Kevin Mitnick tricked guards and officials, trespassed into secure buildings, stole passwords and private computer files, and became wanted by the FBI on several occasions throughout his teens and into adulthood simply to prove he could. He hung out with geeks who prided themselves arrogantly on their mastery at bypassing, stole valuable software for a group of genuine thieves for a chance to be a part of their group, only to be betrayed by his fellow felons on several occasions. He barely escaped juvenile hall due to loopholes in the system during that time (delinquents back then had a lot more freedom), and got a thrill only kleptomaniacs and pranksters could understand. Most of the novel is about him trying out new hacking techniques, running from the law, and trying desperately to escape his criminal past. At the end he winds up becoming a white hat hacker who tests companies security systems for them. He introduces the novel with a story of him using social engineering (something he invented himself) to steal credit card data from a big company. On their payroll. Ubisoft would have done well to model a few of these characteristics-if not all-into the personality of Aiden Pearce to round him out more and make him more likable. Instead of having him be a cold hearted thief who stole money casually from a single mother’s bank account, maybe have him be a young smart aleck trickster who taps into the mom’s phone and changes the ringer into farting noises-then makes the phone ring right when her new boyfriend walks in. Or, if they want to set a more serious tone, have CTOS be called on when he makes a joke to an important person about a terrorist bombing, prompting Aiden to head for the hills without so much as a word to his associates. That would give more context for his beef with the system and give the bad guys a reason to make him enemy number one. That kind of karma system is already built into the game’s system, and it would have worked well for Aiden to be able to make pranks to the wrong person at the wrong time. And, since Kevin Mitnick was about as cavalier as you can get, it would make sense for Aiden to have a desire to prove himself to his own hacker circle and tap into as many systems as possible. A reputation score could be set in place that increases with each hack, and ranking enough points could get you not only the admiration but the assistance of your fellow code monkeys; they might give you upgrades, drop tips that lead you to level two, sell you rare items, and the like. Stealing from people can simply be an option, and one that could affect your karma rating for ill. Plus, it offers much more interesting encounters with the people you hack, since Aiden would spend as much time making crude jokes and confusing the heck out of people as he would fighting and running from the man. The CTOS system would just be another toy, for both him and the player who controls him. Such a character would be perfect for the game Ubisoft is creating, and would do the series more justice then just a geek klepto who acts like a trigger happy Batman. Of course, there already is a string of hackers who do what they do to bring down what they see as an oppressive system. I’m tempted to call them a league or a team, but they are united by nothing more then cause and label then any social or societal connection. There’s a good chance you heard of them, either as a curious tech savvy web surfer finding cool videos or a concerned citizen watching the news. Born out of the well meaning but often questionable occupy movement that rallies against Wall Street and the Capitalist system, they are Anonymous, sporting V for Vendetta’s Guy Fawkes mask and preaching the importance of net neutrality and humiliating authorities one cracked password at a time. They are a loose band of unnamed persons who make it their mission in life to preserve internet freedom and take higher authorities down a peg. Their strategies and pranks are often downright illegal, and many members have been arrested by government agencies. They have earned the ire of Uncle Sam, and a secret society not unlike them would make a perfect backdrop to Watch Dogs. I wouldn’t be surprised if at least a nod and a wink at this movement isn’t already in the game; there are some things that hint at special symbols shared by a select few. One of them might be for a hacker’s cabal that may or may not recruit the main character in Watch Dogs. I can already tell that Act 1 of the story goes something like this. Bad Guys kill girlfriend, Guy swears revenge. For whatever reason, guy meets mysterious stranger with magic super smartphone. Stranger gets killed, Smartphone is Guy’s, and he is now a super-hacker on a mission. Anonymous could fit into almost any part of this basic plot line. Maybe Anonymous tipped off the Bad Guys to test him? Perhaps the stranger is one of the few remaining members who needs Aiden’s help. Maybe they made the smartphone or stole it from CTOS. Maybe they invented CTOS originally, but the corporations bought it and sold it to someone evil. Simple things like that can make the plot thicker and more interesting. Plus it gives Aiden either a good set of mysterious mentors or a society to be a part of complete with a string of contacts. Of course, you can copy and paste just about any club or rebel group into this archetype without much difference. What would really make the Anonymous stand out when used in a game’s narrative is incorporating how they work and why. 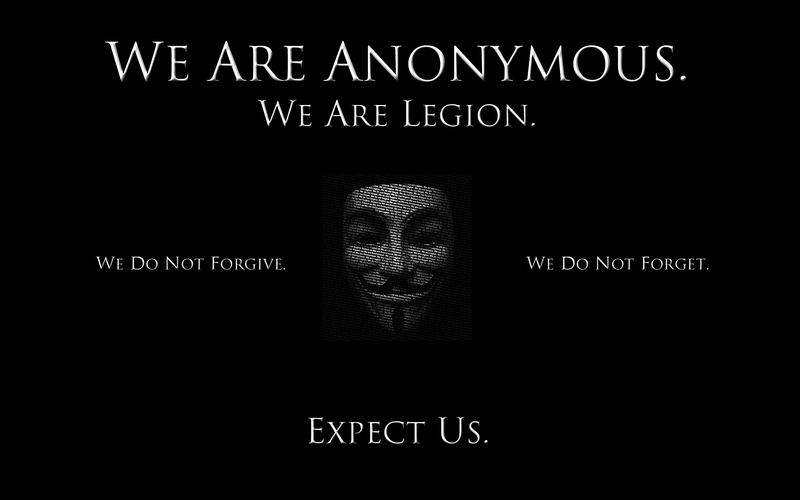 The name isn’t just for show; any hacker can put on the mask and call themselves a part of anonymous. It’s like being punk or being a hipster-its more of your own style choice then actually being brought on into a group. They can be anyone, anything in secret. So long as you stay true to the cause and motifs and model your life around it, you pretty much qualify. For Anonymous, that means hacking not to profit but to prove a point, and to make that point of ending government control and ensuring that the internet belongs to the people. This may actually conflict with a certain amount of the games mechanics, since they assume that CTOS actually gives the people free Wi-Fi, and Anonymous would not rally against a company unless they were actively restricting internet access. They do not punish criminals; they usurp the oppressors by any means necessary. That usually comes in the form of making the target look like an idiot and/or leaking information about them that could destroy them. Thus, Aiden acting as a member of Anonymous(or something like it) would be more concerned in releasing the Wi-Fi signal then just tapping into it. This would run similar to the area unlocking mechanic used in both Farcry 3 and Batman: Arkham Origins, both of which had to activate radio towers in order to gain better access to the map and to teleportation spots. Watch Dogs could have used a similar system in which Aiden not only taps into the system at a CTOS hub, but releases the signal to all cell phones and computers, essentially freeing the internet. That is the kind of mission Anonymous would execute. It would probably be ten times more interesting to actually use both sources at the same time. Easy to do, since one source incorporates the character’s personal goals while the other covers the movement he gets himself wrapped up in. This is a perfect recipe for two things that could bring the game’s story to life. One is character conflict, and the other is the hero’s transformation. Both of which are standard in most storytelling mediums but are often lacking in video game narratives. Picture this; a wisecracking whiz kid whose been hacking since he was eight, is the best at what he does, and does it mostly just to amuse himself. His crimes catch up to him one day, and the only way out is to join a secret cabal of cyber terrorists who want to upturn the system, take down the authorities who control that system, and free internet access to the people once and for all. He could care less about it at first; he just wants to get off the hook so he can return to his simple life. But along the way, he finds out just how insidious the machinations of CTOS really are, and how many people are suffering because of their oppressive heel. The hero realizes that there is more to life then just goofing off and making fun of others for kicks; he realizes that he can use his hacking talents for good. He takes down CTOS, frees the internet, and becomes a security specialist who uses his abilities to help innocent people protect both their freedom and their privacy. The End. This is the kind of story that could and in many ways has become a best selling novel, and with what Ubisoft already built, could have easily been intwined with the game to an effect of being competitive with the likes of Arkham City, Bioshock Infinite, Uncharted series, and even The Last of Us. And sadly, it looks like the story we will get is nothing like this. I’m willing to be optimistic and say that the same guys who gave us Assassin’s Creed can turn around and give us a few plot twists right from under our noses. I have yet to see that potential, unfortunately, and will probably list narrative details under THE BAD of its seven word synopsis. Here’s me crossing my fingers until May 27th.